Throughout my artwork, I collect and nurture memories in familial relationships. This is inspired by living in an isolated rural area surrounded by family and nature. It is here where I received a steady stream of influential ideas. That influence impacts special objects, along with natural materials, assigning them motifs such as peace, comfort, threat, isolation, and growth. For example, the mixed media piece titled Nurturing The Peace is a reflection of the peace that I try to nurture in my family. 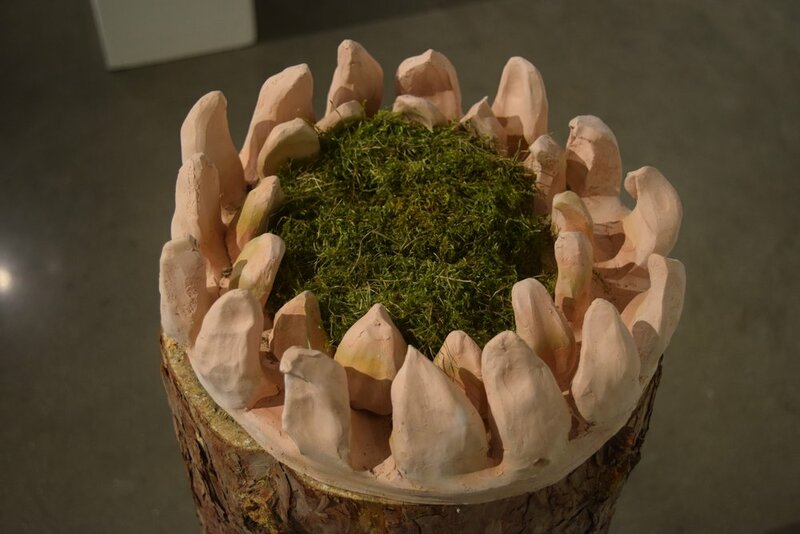 I feel obligated to protect tranquility from chaos, so I built a flowerlike vessel that holds the slow-growing moss inside of the container. Another piece that relates to family dynamics is Invasive Species. 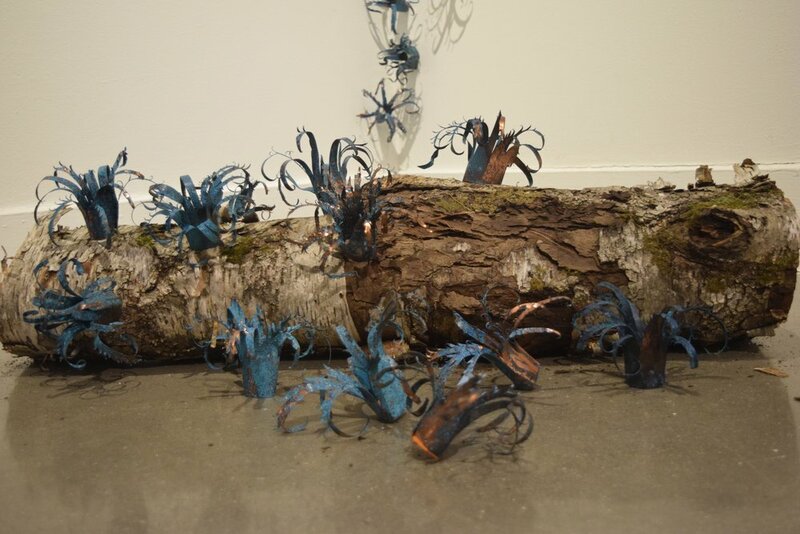 This piece is made from copper with an ammonia and salt patina and is a repetitive installation of small sharp plant-like structures that have a deep blue color. The sharp copper structures present the new territory where I currently live. Change is now one of the constant things in my life. However, that change tends to be toxic and even a little dangerous. I see myself as these plants that have sprouted into foreign territory - I am an invasive species. These two pieces, Nurturing the Peace and Invasive Species, are very different in aesthetic but are directly related to the dynamic of my family and the unique quality that continues to grow.